Saint Catherine’s Vision (SCV) is pleased to announce the collaboratively written Proposal for Introductory Parameters for the Ministry of Ordained Deaconesses in the Orthodox Churchin the USA. An initiative begun in 2006, by His Eminence, Metropolitan Methodios of Boston, this process was energized in recent years by the example set by the Holy Patriarchate of Alexandria, taking deliberate steps toward establishing the ministry of deaconesses for the Orthodox Church in Africa. Metropolitan Methodios invited a select group of Orthodox hierarchs and theologians from the USA and around the world, as well as Saint Catherine’s Vision, to collaborate with him on this initiative. This Proposal seeks to offer “first phase” considerations toward a more complete restoration of the ordained diaconate (both male and female) within the life of the Church. The Proposal is respectfully submitted so that Orthodox Christian faithful, but especially our beloved bishops, may more readily obtain reliable, essential information to help them in their efforts to discern (cf. Matthew 16:3) some of the initial theological, spiritual, pastoral and practical parameters that may be associated with the ordination of deaconesses. These affirmations are contained in the Statement  of the historic “Inter-Orthodox Symposium on the Place of the Woman in the Orthodox Church and the Question of the Ordination of Women” held October 30 through November 7, 1988 on the island of Rhodes, Greece. Convened by the Ecumenical Patriarchate, the Symposium brought together hierarchs and theologians from the Autocephalous Churches. Mindful of the Statement from Rhodes, this Call for the Rejuvenation of the Ministry of the Ordained Deaconess is offered with much respect to His All Holiness Ecumenical Patriarch Bartholomew and the Secretariat of the Great and Holy Council in anticipation of this important assembly. Since the days of the Apostolic Church countless “holy ones of God” have been called to the ordained ministries of the episcopacy, presbyterate and diaconate from within the “royal priesthood” (I Peter 2:9) of God’s People. 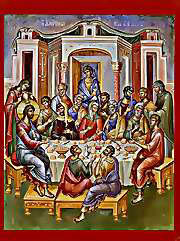 By Divine Grace, they were called to be servant-leaders who “build up the body of Christ” (Eph. 4:12b) and to “equip the saints for the work of ministry” (Eph. 4:12a). Women have been included in the great number of holy persons called to serve. Among those in this number are women ordained to the diaconate, or deaconesses. The number of women deacons has varied from time to time and place to place. The Rhodes Statement points out that: “It was never altogether abandoned in the Orthodox Church though it has tended to fall into disuse.” The example of St. Nektarios the Wonderworker, who ordained two deaconesses in the year 1911, is especially significant. One of the two prayers for the Byzantine rite for the Ordination for the Deaconess solemnly states that the Lord does “not reject women offering themselves and desiring to minister in your holy houses, in accordance with what is fitting….” In the ordination service, we pray that the Lord receive them “into an order of ministers” and bestows “the grace of your Holy Spirit also upon this your servant who desires to offer herself to You, and fill her with the grace of the diaconate, just as You gave the grace of your diaconate to Phoebe, whom You called to the work of ministry.” (See: Appendix I). As Orthodox scholars have clearly demonstrated, the Byzantine rite for the Ordination of the Deaconess took place during the Divine Liturgy and at the Holy Altar with two prayers. The woman deacon was invested with the diaconal stole. The newly ordained received Holy Communion at the Altar. As with the rite for the male deacon, this parallel rite emphasized that the deaconess is ordained for service. Today, the ministry of women ordained to the diaconate would benefit the life of the Church. The deaconess, in the ever expanding needs of the local church under the direction of the bishop, would assist in areas such as pastoral care, education, mission, and philanthropy. She would also expand the outreach of the church particularly through evangelism and witness as well as care for the sick, destitute and unchurched, bearing further witness to the values of the Gospel in the wider society. The need for the ministry of deaconesses is not new. The Scriptures, the Fathers, the ancient liturgical texts and the canons in the life of the Church affirm in their way that “the ministry of a woman deacon is especially important and necessary.” Certainly, this ministry may be needed more in some places than in others. This has always been the case in history. Nevertheless, we feel strongly that there are significant human challenges where this expression of ministry is greatly needed and deeply desired. For example, we acknowledge the increasing need for the Church to minister to parents who experience the loss of a child, dealing with end of life decisions, domestic violence, human trafficking and other forms of trauma, addiction and/or affliction. Despite our personal human sinfulness and frailties, these challenges provide opportunities for the Church to bear witness to the eternal fidelity of the Thrice-Holy loving God through His Divine Compassion (theion eleos). Situations of need and human brokenness invite us to remember the Lord’s command, “Behold, I say to you, lift up your eyes, and look on the fields; for they are white already to harvest” (John 4:35). Through this Call we are reaching out to the wider Church. We are especially asking our hierarchs to discuss sincerely the rejuvenation of the ordained ministry of deaconesses in the life of the Church today for the benefit of all. The final discernment of every ordination has always been the prerogative of the ordaining bishop who discerns the needs of the church and the qualification of each candidate. “The harvest is plentiful but the laborers are few. Therefore beseech the Lord of the harvest to send out workers into His harvest”. We offer this Call for the Rejuvenation of the Ministry of the Ordained Deaconess with the hope that it will be prayerfully considered prior to the 2016 Great and Holy Council of the Orthodox Church by our Hierarchs, who serve as our Fathers in the Lord. Together with this document, we are submitting some additional background material for our hierarchs to review prior to their historic meeting and we are also sharing this document with the greater Church for edification, consultation and prayer. This Call for the Rejuvenation of the Ministry of the Ordained Deaconess is presented by Saint Catherine’s Vision or “SCV” (www.saintcatherinesvision.org), a fellowship of women theologians and other lay servant-leaders addressing contemporary concerns from an Orthodox Christian perspective. Founded in 2001, we are an endorsed organization of the Assembly of Canonical Orthodox Bishops of the United States of America. We fervently support the conclusions regarding the rejuvenation of the ministry of ordained deaconesses as stated by the 1988 Rhodes Inter-Orthodox Symposium. We are offering for consideration in this document a few suggested initial parameters for this ministry’s renewal and implementation. We believe that the ministry of ordained deaconesses may be of great benefit in many places within the life of the Church today as it has been in the history of the Church. Established in the Compassion of God (theion eleos), the God who loves us first, this Apostolic ministry may become a witness in those many places that thirst for the outreach of Christ, the One Who Serves (Luke 22:27). Contemporary discussions regarding the ministry of deaconesses can be traced across the Orthodox world, including the Church in Russia, Georgia, Greece and elsewhere, reaching back at least to the early 1800’s. It was within this historical context that St. Nektarios of Aegina ordained two nuns as deaconesses at the monastery in which he served. Today, we acknowledge with profound gratitude, the efforts of Orthodox theologian and scholar, Professor Evangelos Theodorou, Professor Emeritus of the School of Theology of the University of Athens, who has conducted research and advocated for this ministry since the 1940’s. With great respect and tender appreciation for his steadfast, faithful service within the life of the Church, this Call is written and submitted in his honor. The prayers of the ordination rite of the deaconess declare: “O God,… Who… Bestowed the Grace and Advent of the Holy Spirit not to Men Alone, but also to Women . . .” What does this mean for the Church today? In addition to identifying parameters of the depth and the breath of the ministry of the deaconess, we have also been examining various contemporary attitudes and perspectives that challenge Orthodox Christian practice regarding the ordination of women to the diaconate and the ministry of women in general. Approaches which differ substantially from the theological foundation of the Church disrupt and injure the process, thus missing the mark of cultivating growth in the life-giving “phronema”. Through this Call, we bear witness to and affirm the authentic vision of ecclesiology that undergirds the order of the diaconate (as well as every order of loving service within the life of the Church) in the manner that faithfully reflects the life of the Church. For our day, again we express our deepest gratitude for the tireless efforts of Professor Evangelos Theodorou, the recommendations regarding “the Diaconate and ‘Minor Orders’” in the concluding Statement of the 1988 Rhodes, Greece Orthodox Symposium  and the vibrant witness of many others who for more than a century have been prayerfully, advocating on behalf of this vision. V. Suggested Initial Parameters for the Deaconess: A Pilot Program? Regarding the Hierarch: The local bishop will be responsible for the selection of candidates. An appropriate Orthodox theological education and demonstrated spiritual maturity will be necessary. If the candidate is married, the spouse must be in good standing with the Church and would express in writing his active and willing support of his wife’s vocation and ministry. This would also entail a periodic assessment of persons involved in the diaconal ministry. Based on his studies of the ministry of the deaconess through history, the professor identifies that today’s deaconesses in most cases, “at the discretion of the Synod and the local bishop may be entrusted to…distribute Holy Communion to members of the community who are unable to attend the Divine Liturgy”. The woman deacon will respond to the many educational, pastoral, and philanthropic needs of the local community as discerned by the bishop. She will minister in particular, to women and children, and will work in a collaborative manner with other clergy under the direction of the bishop. We are grateful to the merciful Lord that some of this work has been and is still being done by faithful women under the direction of their pastors and hierarchs. In addition to ordaining women to the diaconate, the Rhodes Statement encourages “further study” for the possibility of women to “enter into the “lower orders”… without excluding new orders that the Church may consider”. At the same time, we join our fervent prayers together with those of Professor Theodorou and many others, who sincerely “desire to experience the witness and ministry of the ierosyni of the deaconess”.Through this Call for the Rejuvenation of the Ministry of the Ordained Deaconess, we are asking our hierarchs to renew this ministry for the sake of the whole Church. Deacons, both male and female, in a way that is unique to their charism help make present the ministry of Christ, the One Who Serves (Luke 22:27). The rejuvenation of the ministry of female deacons also calls attention to the importance of the diaconate as a whole. We are deeply grateful and stress once more how the Church enjoys the prerogative to set the parameters of her own ministries. We sincerely ask our Fathers in the Lord, to rejuvenate this ministry, even if it begins through the humble commencement of a Pilot Program such as the one proposed here. We offer this Call out of a deep desire to be of service to the Church. We pray for the guidance of the Holy Spirit with regard to the future of this important ministry. We are strengthened by the prayers and numerous affirmations expressed throughout history, up until this day, regarding the ministry of women who have been “filled” with “the grace of the diaconate”. As we close, we reverently recall the affirmation expressed by our Father among the saints, St. John Chrysostom, who encouraged personally the ministry of deaconesses. He declared that “this order is also in the highest degree necessary, useful and proper in the Church”. Because of the significance of the service of ordination of the deaconess, we present a translation of the Greek text included in Theodorou's study (Ἡ “Χειροτονία,” 55-6). This service dates from the eighth-tenth centuries and is found in the Barberini codex and the Bessarianos codex. The following rite is from Codices B and K of Goar's Euchologion. Divine grace (which always heals that which is infirm and Completes that which is lacking, ordains N., beloved of God, as deacon. Let us pray for her, that the grace of the Holy Spirit may come upon her). In peace let us pray to the Lord. For the peace from above and for the salvation of our souls, let us pray to the Lord. For the peace of the whole world, let us pray to the Lord. For our archbishop N. and for his priesthood, assistance, maintenance, peace, health, salvation and the work of his hands, let us pray to the Lord. For she who is now being ordained deaconess and for her salvation, let us pray to the Lord. That God, who loves humankind, will bestow upon her the grace for a spotless and irreproachable diaconate, let us pray to the Lord. For our pious and God-favored emperor, (let us pray to the Lord). For our deliverance (from all tribulation wrath, danger and necessity, let us pray to the Lord). Help us, save us, (have mercy upon us and keep us, O God, by Your grace). Sovereign Lord, You who do not reject women offering themselves and desiring to minister in your holy houses, in accordance with what is fitting, but rather receive them into an order of ministers; bestow the grace of your Holy Spirit also upon this your servant who desires to offer herself to You, and fill her with the grace of the diaconate, just as You gave the grace of your diaconate to Phoebe, whom You called to the work of ministry. O God, grant that she may persevere blamelessly in your holy temples, to cultivate appropriate conduct, especially, prudence (sophrosyne); and make your servant perfect so that she, standing at the judgment seat of your Christ, may receive the worthy reward of her good conduct. Through the mercy and love for humanity of your only-begotten Son, with whom You are blessed, (together with your all-holy, good and life giving Spirit, now and ever and unto the ages of ages. Amen). After she has communed of the Holy Body and Holy Blood, the archbishop gives her the holy chalice, which she accepts and replaces on the holy altar. «Μετά τό γενέσθαι τήν ἁγίαν ἀναφοράν καί ἀνοιγῆναι τάς θύρας· πρίν ἤ εἰπεῖν τόν διάκονον· Πάντων τῶν ἁγίων, προσφέρεται ἡ μέλλουσα χειροτονεῖσθαι τῷ ἀρχιερεῖ καί ἐκφωνῶν τό, Ἡ θεία Χάρις, κλινούσης αὐτῆς τήν κεφαλήν, ἐπιτίθησι τήν χεῖρα αὐτοῦ ἐπί τήν κεφαλήν αὐτῆς, καί ποιῶν σταυρούς τρεῖς ἐπεύχεται ταῦτα. Ὁ Θεός ὁ ἅγιος, ὁ Παντοδύναμος, ὁ διά τῆς ἐκ Παρθένου κατά σάρκα γεννήσεως τοῦ μονογενοῦς Σου υἱοῦ καί Θεοῦ ἡμῶν ἁγιάσας τό θῆλυ· καί οὐκ ἀνδράσι μόνον ἀλλά καί ταῖς γυναιξί δωρησάμενος τήν χάριν καί τήν ἐπιφοίτησιν τοῦ ἁγίου Σου Πνεύματος· Αὐτός καί νῦν, Δέσποτα, ἔπιδε ἐπί τήν δούλην Σου ταύτην· καί προσκάλεσον αὐτήν εἰς τό ἔργον τῆς διακονίας Σου, καίκατάπεμψον αὐτῇ τήν πλουσίαν δωρεάν τοῦ ἁγίου Σου Πνεύματος· διαφύλαξον αὐτήν ἐν τῇ ὀρθοδόξῳ Σου πίστει, ἐν ἀμέμπτῳ πολιτείᾳ κατά τό Σοί εὐάρεστον τήν ἑαυτῆς λειτουργίαν διά παντός ἐκπληροῦσαν. Ὅτι πρέπει Σοι .... ἀμήν. Ἐν εἰρήνῃ τοῦ Κυρίου δεηθῶμεν. Ὑπέρ τῆς ἄνωθεν εἰρήνης, καί εὐσταθείας τοῦ σύμπαντος κόσμου· τοῦ κυρίου δεηθῶμεν. Ὑπέρ τῆς εἰρήνης τοῦ σύμπαντος κόσμου· τοῦ Κυρίου δεηθῶμεν. Ὑπέρ τοῦ ἀρχιεπισκόπου ἡμῶν (τοῦ δεῖνος), ἱερωσύνης, άντιλήψεως, διαμονῆς, εἰρήνης, ὑγιείας, σωτηρίας αὐτοῦ καί τοῦ ἔργου τῶν χειρῶν αὐτοῦ· τοῦ Κυρίου δεηθῶμεν. Ὑπέρ τῆς νῦν προχειριζομένης διακονίσσης (τῆσδε) καί τῆς σωτηρίας αὐτῆς· τοῦ Κυρίου δεηθῶμεν. Ὅπως ὁ φιλάνθρωπος Θεός ἄσπιλον καί ἀμώμητον αὐτῇ τήν διακονίαν χαρίσηται· τοῦ Κυρίου δεηθῶμεν. Ὑπέρ τοῦ εὐσεβεστάτου καί θεοφιλεστάτου βασιλέως ἡμῶν. Καί ἐν τῷ γενέσθαι ταύτην τήν εὐχήν ὑπό τοῦ διακόνου, ἔχων ὁμοίως τήν χεῖρα ἐπί τήν κεφαλήν τῆς χειροτονουμένης ὁ Ἐπίσκοπος, ἐπεύχεται οὕτως. Δέσποτα Κύριε, ὁ μηδέ γυναῖκας ἀναθεμένας ἑαυτάς καί βουληθείσας καθ’ ὅ προσῆκε λειτουργεῖν τοῖς ἁγίοις οἴκοις Σου ἀποβαλλόμενος, ἀλλά ταύτας ἐν τάξει λειτουργῶν προσδεξάμενος· δώρησαι τήν χάριν τοῦ Ἁγίου Σου Πνεύματος καί τῇ δούλῃ Σου ταύτη, βουληθείσῃ ἀναθεῖναί Σοι ἑαυτήν, καί τήν διακονίας ἀποπληρῶσαι χάριν, ὡς ἔδωκας χάριν τῆς διακονίας Σου Φοίβῃ, ἥν ἐκάλεσας εἰς ἔργον τῆς λειτουργίας· παράχου δέ αὐτῇ ὁ Θεός, ἀκατακρίτως προσκαρτερεῖν τοῖς ἁγίοις ναοῖς Σου, ἐπιμελεῖσθαι τῆς οἰκείας πολιτείας, σωφροσύνης δέ μάλιστα, καί τελείαν ἀπόδειξον δούλην Σου· ἵνα καί αὐτή, παραστῶσα τῷ βήματι τοῦ Χριστοῦ, ἄξιον τῆς ἀγαθῆς πολιτείας ἀπολήψηται τόν μισθόν. Ἐλέει καί φιλανθρωπίᾳ τοῦ μονογενοῦς Σου Υἱοῦ, μεθ’ οὗ εὐλογητός εἶ· καί τά ἑξῆς. Καί μετά τό ἀμήν, περιτίθησι τῷ τραχήλῳ αὐτῆς ὑποκάτωθεν τοῦ μαφωρίου τό διακονικόν ὠράριον, φέρων ἔμπροσθεν τάς δύο ἀρχάς· καί τότε ὁ ἐν τῷ ἄμβωνι διάκονος λέγει· Πάντων τῶν ἁγίων μνημονεύσαντες καί τά λοιπά. Μετά (δέ) τό μεταλαβεῖν αὐτήν τοῦ ἁγίου σώματος καί τοῦ ἁγίου αἵματος, ἐπιδίδων αὐτῇ ὁ Ἀρχιεπίσκοπος τό ἅγιον ποτήριον· ὅπερ δεχομένη ἀποτίθεται τῇ ἁγίᾳ τραπέζῃ». The Inter‑Orthodox Theological Consultation held in Rhodes, Greece from October 30 to November 7, 1988, convened by the Ecumenical Patriarchate of Constantinople, this symposium brought together official representatives from all the Orthodox Churches to study the topic: "The Place of Woman in the Orthodox Church and the Question of the Ordination of Women. " This Consultation was organized by the Ecumenical Patriarchate under the leadership of His All-Holiness Ecumenical Patriarch Demetrios I of blessed memory, in response to a request coming from the Third Pre-Conciliar Conference held October 28-November 6, 1986 at Chambesy, Switzerland. The Conference proposed a study of "the issue of the ordination of women in order to promote the relevant Orthodox doctrine in all her dialogues with Christian Churches and confessions proceeding with the ordination of women." The Autocephalous Churches were invited to send official delegates to this important Consultation. In addition to these, there were nearly fifty other theologians invited to participate in the Consultation. This historic conference is the most authoritative Orthodox gathering to date engaging this issue. The apostolic order of the deaconess should be revived. It was never altogether abandoned in the Orthodox Church though it has tended to fall into disuse. There is ample evidence from apostolic times, from the patristic, canonical and liturgical tradition, well into the Byzantine period (and even in our own day) that this order was held in high honour. The deaconess was ordained within the sanctuary during the Divine Liturgy with two prayers, she received the Orarion (the deacon's stole) and received Holy Communion at the Altar.... The revival of this ancient order should be envisaged on the basis of the ancient prototypes testified to in many sources (cf. the reference quoted in the works on the subject of modern Orthodox scholars) and with the prayers found in the Apostolic Constitutions and the ancient Byzantine liturgical books. …would represent a positive response to many of the needs and demands of the contemporary world. This would be all the more true if the diaconate in general (male as well as female) were restored in all places in its original, manifold services (diakoniai) with extension into the social sphere, in the spirit of the ancient tradition and in response to the increasing specific needs of our time. To develop and implement initiatives especially supporting women's ministries in the Orthodox Church through prayer, education, research, training, mentoring, and other related programming related to theology and ministry. To promote spiritually and theologically sound approaches that facilitate the education, witness and service of men and women in a manner which fully supports the participation of women. To create and direct endeavors serving Orthodox Christian theology and ministry (or orthopraxia) "for the building up of the body of Christ" (Ephesians 4:12) which is His Church and share the light of Christ in today's world. Gennadios Limouris, (ed. ), Place of Woman in the Orthodox Church and the Question of the Ordination of Women, ("Tertios" Publications: Katerini, Greece) 1992, p. 31-32; See also: Kyriaki Karidoyanes FitzGerald, “The Inter-Orthodox Theological Consultation on Women in the Church,” Ecumenical Trends, 18:3, 1989, pp.33-34; and Idem., Women Deacons in the Orthodox Church: Called to Holiness and Ministry, (Brookline, MA: Holy Cross Orthodox Press, 1999), pp. 160-67. This is also referred to as the “Conclusions of the Consultation Report,” Limouris, pp. 21-34. This now well-known consultation was convened under the leadership of His All Holiness Ecumenical Patriarch Demetrios I, of blessed memory. Hierarchical representatives from each of the canonical Eastern Orthodox Churches were invited to discuss this topic together, making their concluding recommendations the most authoritative Orthodox communication regarding the ministry of women to date. The “Ordination” or “Appointment” of Deaconess (in Greek), Evangelos Theodorou, (Athens: 1954), p. 96, FitzGerald, Women Deacons, pp. 151-152. From the second prayer of invocation (epiclesis) for the deaconess from the Byzantine ordination rite; Ibid. Theodorou, p. 42, Demetrios Tsamis, (ed. ), Myterikon (in Greek), (Thessaloniki, Greece: 1990) vol. II, p. 258, cf. vol. IV, p 264-65, FitzGerald, Women Deacons, pp. 1-17, 28-58. Constance Tarasar, Woman: Handmaid of the Lord, (Yonkers, NY: Thesis, St. Vladimir’s Orthodox Theological Seminary, 1965), pp. 332-342, FitzGerald, Women Deacons, pp. 149-78. Archbishop Iakovos, Visions and Expectations for a Living Church: Addresses to Clergy Laity Congresses, 1960-1996, ed. Demetrios J, Constantelos, (Brookline, MA: Holy Cross Orthodox Press, 1998), pp. 20-21, 41; See also: FitzGerald, Women Deacons, p. 157. News Release of the Church of Greece, Statement of the Holy Synod; Athens, Greece; 8 October 2004 (translation). A third of the consultants invited to participate were Orthodox women theologians from various parts of the world. Address of His All Holiness Ecumenical Patriarch Bartholomew to the Inter-Orthodox Conference for Women, (Phanar, Istanbul: May 12, 1997). From the first prayer of invocation (epiclesis) for the deaconess from the Byzantine ordination rite; See: Theodorou, pp. 55-56; See also: FitzGerald, Women Deacons, pp. 202-04. Even a brief historical overview of ministry and Church service in the Christian East, reveals that just as the Holy Spirit safeguards the integrity of the specific charism undergirding all ordained and lay ministries, the manner by which these may have been expressed within the life of the Church certainly needed to vary through the course of time and from context to context. Regarding “ierosyni” (priesthood), Professor Theodorou stresses the traditional Orthodox liturgical understanding that ordained deacons share fully in the “three-fold priesthood” and so are considered ordained to “major orders”. Nevertheless, male and female deacons are ordained to “irea diakonia” (“sacred” or “priestly” ministry) not liturgical presidency, which belongs strictly to the presbyter and bishop. October 9, 2014 telephone interview with Professor Evangelos Theodorou in Athens, Greece; from a series of interviews conducted with Professor Theodorou between October 9 through November 20, 2014 by Professor Kyriaki Karidoyanes FitzGerald on behalf of Saint Catherine’s Vision, Sandwich, Massachusetts, USA. Regarding some detractors today who have begun to insist that present day liturgical customs during the ordinations of male deacons, presbyters and bishops e.g. "Isaiah's Dance," etc., would not be taking place for the deaconess, thus in effect indicating her service is not a real ordination....the professor stated that "those same ordination liturgical customs that are missing in the original Byzantine texts for the ordination of the female deacon are missing also from the parallel texts for the male deacon of that same time period!". He strenuously emphasized that "the ordination of the deaconess would bear all of the marks the other ordinations customarily enjoy today...we have to accept the Church's contemporary practice on these things". Professor Theodorou, October 9, 2014 telephone interview. From the second prayer of invocation (epiclesis) for the deaconess from the Byzantine ordination rite; See: Theodorou, pp. 55-56; See also: Women Deacons, FitzGerald, pp. 202-04. This Call for the Rejuvenation of the Ministry of the Ordained Deaconess, also to a great degree, rests on many years of prayer, effort and prodding by our Co-Founder, Clara Nickolson (+2010), as well as the prayers, writings, advocacy and encouraging friendship of Dr. Elizabeth Behr-Sigel (+2005), and the prayers, friendship and scholarship of the recently departed, Dr. Constance “Connie” Tarasar, former faculty member of St. Vladimir’s Seminary. Memory Eternal. Theodorou, pp. 55-6. See also: Jacobi Goar, Evchologion sive rituale Graecorum, complectens ritus et ordines, editio secunda (Venetiis, 1730), 218ff; and Women Deacons, FitzGerald, pp. 202-04. Following an ancient practice, it is also believed that the people responded three times with "Lord have mercy," immediately after this bidding. During the early 1950’s, the Church of Greece under the leadership of Archimandrite (later Metropolitan) Barnabas, with Professor Theodorou and his wife, Hariklea, also a skilled theologian, established a school for the training of deaconesses. The Theodorou’s served as the first faculty members. Graduates were to serve at first in the local communities without ordination. The timing of Archbishop Michael’s Open Letter to his flock is by no means a coincidence. Saint Catherine’s Vision is deeply indebted to Presbytera Emily (Maniates) Harakas for providing original copies of these documents. Pres. Harakas was one of the twelve young women who responded in the affirmative to Archbishop Michael’s Open Letter. See: FitzGerald, Women Deacons, pp. 153-158, 175 n. 13. See: Limouris, p. 10; See also: FitzGerald, “The Inter-Orthodox Theological Consultation . . ., pp. 33-34; and Idem., Women Deacons, pp. 160-167. Orthodox Women Speak: Discerning the "Signs of the Times"
This book offers a penetrating introduction to vital themes related to the participation of women in the life of the Church. Published in 1999, this book is the product of ground-breaking, officially sponsored, international Orthodox Women’s Conferences that took place in Damascus, Syria (1996) and Constantinople/Istanbul, Turkey (1997). "Let us praise Catherine the radiant bride of Christ, guardian of Sinai, our helper and supporter. By the power of the Spirit, she silenced the arrogance of the ungodly. Crowned as a martyr, she now implores great mercy for all."